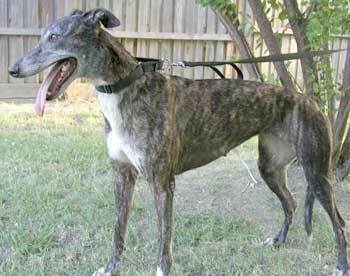 Deb, aka AZ Miss Deb, is a beautiful 2½-year-old dark brindle female born February 11, 2001. 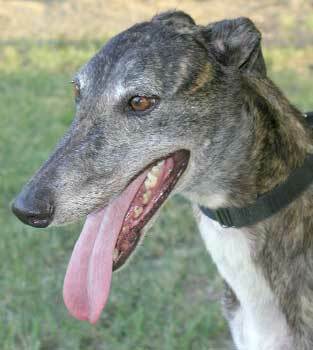 Deb raced at Victory Lane with her brother Fuji (two out of a litter of eight), but neither were barn burners in the racing venue. Deb is very LOVING and friendly and interactive. Her dam is Amee, aka AZ Zazzles, whose sire is Wigwam Wag, and her sire is JNJ Satin Prince. It is not known at this time if Deb is cat or small animal tolerant.